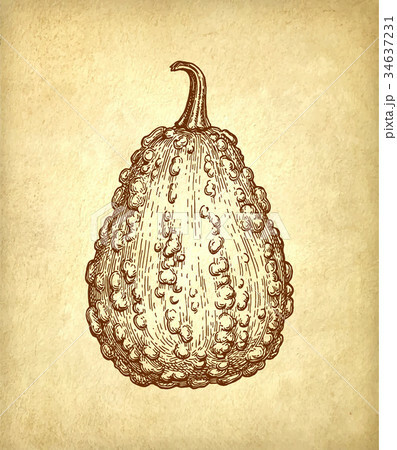 Ink sketch of gourd on old paper background. Hand drawn vector illustration. Retro style.